It is yet another curious turn of history that one of the greatest film directors was not allowed to watch films as a child. David Lean was a master of both intimacy and grandness, a man who made the story paramount and trusted the audience to keep up with him. I first came to know David Lean through his epic films: Lawrence of Arabia and Bridge on the River Kwai. What I found fascinating about those films is that he was able to put a remarkably intimate story within the grandness of the camera frame. I've often said that Lawrence of Arabia is an epic film about one man's soul. Even with T.E. Lawrence in the center of the film, the central question of just who Col. Lawrence was is never really answered. At one point in the film, when Lawrence has reached the Suez Canal after having crossed the Sinai, a motorcycle comes from across the channel. The rider asks, "Who are you?" repeatedly, while Lean moves in for a close-up of Peter O'Toole's face, this one question without a response. Bridge on the River Kwai is another small story wrapped within an epic setting. Actually, you have at least two stories: that of Alec Guinness' Colonel Nicholson and William Holden's Commander Shears. It's curious to me that neither of them are purely heroic. When I first saw the film, I had great admiration for both men. When I saw it a second time, I was horrified at especially Colonel Nicholson. This was a man who became so wrapped up in his Britishness (duty, efficiency) that he lost sight of the fact that he gave in on his principles and did exactly what his Japanese captors had wanted from him all along. In a curious way, Nicholson's arch rival, Colonel Saito (Sessue Hayakawa) is not a monster but is just as unwitting as Nicholson. He too becomes so enamored of building that damn bridge he forgets he is Nicholson's captor, not collaborator (although collaborator is the absolutely perfect term for what is going on). With Shears, he is certainly more interested in living for himself than for dying for some cause, but something about his instinct to live is now off-putting. He has no interest in the fact that this bridge will help the enemy and that it should be destroyed. Bridge On the River Kwai is an extremely complex film in terms of whom to side with: we would normally think Nicholson was heroic in how he stands for his principles and thinks of his men, but in the end we see the man's pretty bonkers. Lean just got such brilliant performances out of his casts, especially his good-luck charm, Alec Guinness. Guinness appears in six Lean films either as the star or as a secondary character. I don't think the collaboration between Guinness and Lean has been given as much discussion as that of John Wayne & John Ford, James Stewart & Frank Capra or Toshiro Mifune & Akira Kurosawa. However, they worked so well together, and I think it is because both of them loved the craft of storytelling; in short, both of them valued the power of the spoken word over the sheer visual spectacle. Now, as I look back at David Lean, trying to get at the same question he asks, "Who are you? ", I find that after Lawrence of Arabia, his productivity slowed to a crawl. After his epic, there were only three films: Doctor Zhivago, Ryan's Daughter, and A Passage to India. Zhivago was to be his epic romance, this great love story, which curiously would have been a departure for him after the manly heroics of Bridge and Lawrence. I know a lot of people think Zhivago is this brilliant, romantic epic, but to my mind I found it cold, slow, and terribly dull. I've managed to see it only once without falling asleep at it, but no matter how often I try to get through it again I end up nodding off at least once. There are brilliant things within Zhivago: the music is among the best ever written for film, Tom Courtenay's evolution from the idealistic revolutionary Pasha to the cold-blooded Bolshevik Strelnikov is a mesmerizing performance, and Freddy Young's cinematography is still first-rate. However, I kept wondering while watching whether or not Lean actually understood the story. It's suppose to be a love story between Zhivago and his mistress, Lara, but in a curious way the situations appeared to overwhelm them. Somehow, the romance was swallowed up in the Russian Revolution. For me, the film goes on forever, and Yuri is such a wimp, and worse of all, it has that damn voice-over thing I detest in films (courtesy of Guinness as Zhivago's half-brother, and frankly I kept wondering how having a half-brother didn't appear to faze our gentle Yuri). In short, I found Doctor Zhivago to be pretty hollow and hopelessly long for the story it was attempting to tell. Doctor Zhivago was not critically acclaimed in its release, and despite the public acclamation for the film Lean was devastated. That is a pity: lesser filmmakers continue making abysmal movies without worrying about what critics say. Maybe he felt that if critics loved his work, then it must be good. I think that even the best director, the best writer, the best actor can have an off performance, and you're never going to bat a thousand. My puzzlement comes from the fact that Lean could make an intimate love story: the underappreciated Summertime. The doomed romance between lonely American spinster Katherine Hepburn and Italian lover Rossano Brazzi has humor, sadness, and a touch of redemption and hope at the end. Anyone who sees Summertime can see that Lean could make romantic movies, but I think here, we can see how scope (or in this case, Cinemascope) made the difference. Summertime is a small film (relative to the story and the location), while Zhivago goes all over the place (in almost every way). The former stays pretty grounded in the characters: they are human, believable. The latter goes overboard in providing this grand canvas that tries to make each character iconic. Still, for better or worse Doctor Zhivago is beloved for its "romance" (side note: I think this is the beginning of any film where two people jump into bed be considered a 'romance'), but it also was the decline of David Lean as a filmmaker. He could still make great films, but somehow he couldn't bring himself to put his work out there for the professional critics to look over. I think he stopped trusting his audience (whether it was critics or a thinking public). Maybe he just got tired of making films. I can't say anything about Ryan's Daughter (though something about having Robert Mitchum playing an Irishman appears...just odd) but I do remember enjoying A Passage to India (especially Dame Peggy Ashcroft's performance, which won her a well-deserved Best Supporting Actress Oscar). Granted, when I saw it I was ridiculously young (I think I was about seven or eight when I saw it), so to be honest, I didn't understand it. I liked it, just didn't understand the whole trial business. I think it's a film worth revisiting. I find to my surprise that David Lean made a total of 16 films, which is a remarkably small output given his reputation and status among the greats. However, let's look at some of those films: Brief Encounter, Oliver Twist, David Copperfield, Great Expectations, Hobson's Choice, Summertime, Bridge on the River Kwai, Lawrence of Arabia, A Passage to India: truly some of the best films made (and two Best Picture winners, something that Alfred Hitchcock and Steven Spielberg, at least as of this writing, never accomplished). I don't include Doctor Zhivago because I think it's a dull, lifeless film (although with some beautiful elements in it), but it is usually put up there among the greats (I don't know why, but there it is). In short, David Lean has made some of the most influential, important, and simply best films made by anyone. It is sad that after being remarkably productive from the forties to the sixties, it dropped off after Zhivago. 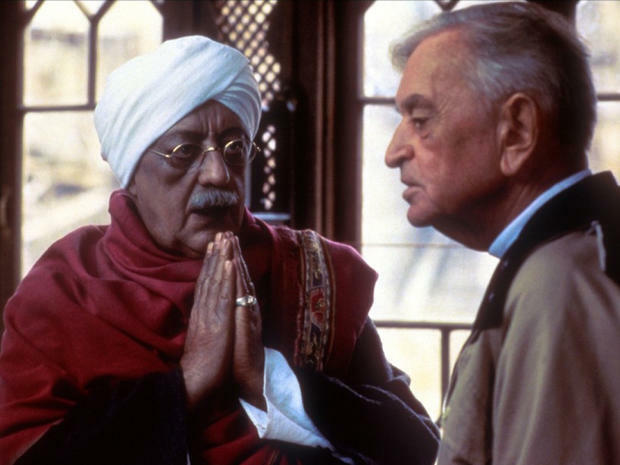 There were many reasons: personal, financial, creative, but one does wonder what David Lean could have made of the life of the Mahatma, rather than what Sir Dickie made. Still, I love the David Lean films I've seen (except for Zhivago). He made films that are both great and grand but that also had a lot of thought to them. It wasn't just spectacle, but intellect, that pushed many of his films, and which is why David Lean still makes films interesting. There are more of The Great Directors Retrospective, which will grow over time.